Surgeons at Penn State Health Milton S. Hershey Medical Center recently performed their 500th heart transplant. The procedure took place on June 23. For almost 35 years, the Medical Center has been the only heart transplant center in south central Pennsylvania. The first heart transplant at Hershey Medical Center happened in 1984. For decades, the Medical Center has been at the forefront of finding new ways to improve outcomes for heart transplant patients. This includes developing less invasive techniques to detect transplant rejection at the molecular level and ways of treating rejection. 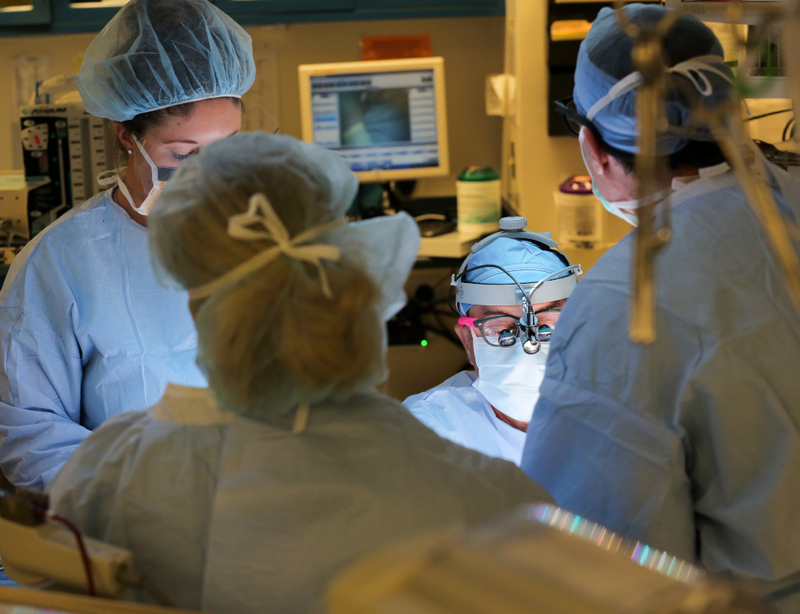 The Medical Center&apos;s transplant team includes cardiologists, surgeons, nurse coordinators, nurse practitioners, social workers, a financial counselor and pharmacists, along with support staff. Hershey Medical Center also has a long history of developing and improving on mechanical devices to support patients until they can have a transplant or as an alternative for those who are not candidates for transplant. A team lead by Dr. William Pierce created the Penn State heart-assist pump, later known as the Pierce-Donachy pump, which was attached to a patient for the first time in 1976. The Medical Center became one of the first hospitals in the country to implant an artificial heart in 1985, and went on to lead in the development and implantation of electric artificial hearts. In 2001, the Medical Center made history as the first in the U.S. to develop and implant the Arrow LionHeart, the first heart-assist device with wireless power. The device was created in the Medical Center&apos;s Division of Artificial Organs, which was formed in 1970. In 2013, the Medical Center became the first in Pennsylvania to send a patient home with a total artificial heart while he waited for a donor heart. Today, Penn State Heart and Vascular Institute offers comprehensive, coordinated care for a range of conditions. It is accredited by the Joint Commission for heart failure care and implanting left ventricular assist devices (LVAD). For decades, the Heart and Vascular Institute has been caring for patients with structural heart disease with leading edge treatments, including transcatheter aortic valve replacement (TAVR), the Watchman implant and the MitraClip procedure. Physicians and scientists at the Heart and Vascular Institute continue research and clinical trials in many areas, including arrhythmia, heart failure, mechanical heart devices, intervention treatment, cardiovascular interventional radiology and vascular surgery.